Behold, “Lisa Simpson’s Guide to Geek Chic,” a new book by Matt Groening, published by Insight Editions. And, check this out, this book is part of the Vault of Simpsonology. Yes, once you’ve enjoyed this book, you can move on to books focusing on other Simpson characters. Ah, but first, there’s Lisa Simpson and her particular view of the world. How about a periodic table, according to Lisa Simpson? Or her idea of what should be in everyone’s emergency kit. The Complete Works of Shakespeare, perhaps? While this will win over any young reader, I have to say that this item transcends any age demographic in a very appealing way. This is, indeed, the perfect gift for anyone. 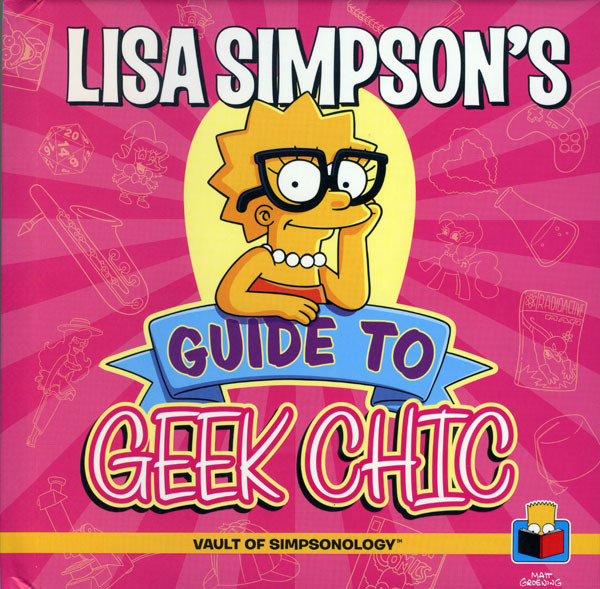 “Lisa Simpson’s Guide to Geek Chic” is available as of May 5, 2015. For more details, visit our friends at Insight Editions right here.